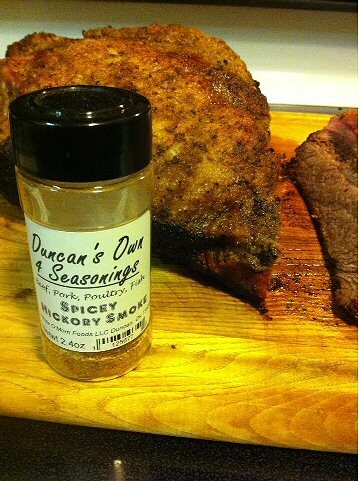 Meat Rubs work different from a marinade in that they will form a crust on the outside of the meat. Here are a few tips that will help you get started using them. NOTE: Be careful when using meat that is labeled 'enhanced' or 'pre-seasoned' - it may be best to experiment the first time on a single piece to assure that your meat rub and the pre-seasoning do not clash. Pierce the meat you wish to season with a fork. You may sprinkle the meat rub on and let it sit or use your hands, working into all crevices and into the holes created when piercing. For best results, Wrap tightly in plastic wrap and place in fridge for an hour. 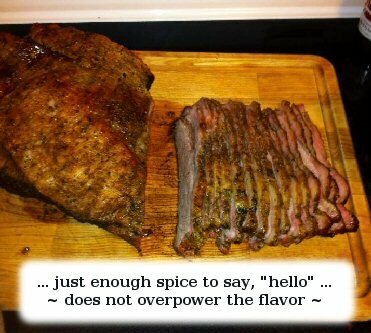 This allows a reaction to occur between the meat and the meat rub mixture. Some suggest that overnight is best. Cook at slightly lower temperature than usual because the rub can cause burning.